The health of ourselves and those we love is important to all of us, which probably explains why people have questions about it when they’re venturing on a cruising holiday. We’ve put together this guide so that you can get a better idea of how to take care of yourself and others during this brilliant holiday experience. So have a look below and see if we’ve answered any of your cruising health questions! There are a few things you need to consider about your health before you set foot on your cruise ship. Remember to always pack any medication you take on a regular basis. You don’t want to find yourself on holiday without it - so make sure it’s top of the list! econdly, remember to get some form of travel insurance. 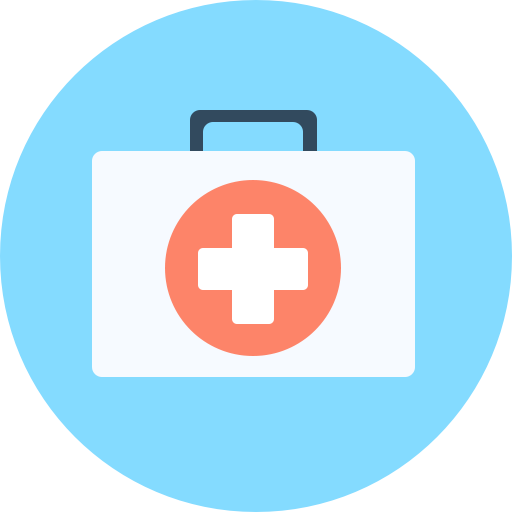 You need to ensure you have any medical costs covered should you become injured in a foreign country and need to go to hospital - so invest in this. If you want to save money on your cruise, and are hoping to prevent the need to splash out for medical kits on board, then taking a first aid kit may also be a good idea. You can even put your own kit together if you don’t want to buy a specialised one. Regular medications that you can include are the likes of diarrhea relief tablets, seasickness tablets and also paracetamol. However, if you forget something, don’t worry - there are shops onboard. But please take note that they will not be open when the ship is docked at a port. You may also need injections should you be travelling to certain parts of the world, so always be sure to check with your doctor before heading out on any break. Large cruise ships carry a monumental amount of passengers, so it’s no surprise that ships that have more than a few hundred passengers will have a medical bay onboard. These will be complete with doctors and nurses, meaning should you become ill during your break you’ll have somewhere to go. This also means that, unlike traditional holidays, you won’t have to visit a doctor that barely understands what you’re trying to say to them - which should be a peace of mind for all. On top of this, if you need surgery whilst out on the ocean, then you can rest assured that there have been been minor surgeries performed before on cruise ships. This is a reassuring thought indeed for those with concerns! This again provides a strong peace of mind when it comes to cruising. In the off chance you require it, there’s a good chance medical assistance will be around if you’re on a larger ship. It’s always best to check what amenities are available on the cruise you’re considering before setting off. As well as wanting to ensure that there are medical amenities onboard in case of an illness, cruise passengers also like to know that there is the chance to keep up their health regimes on board. What some people don’t realise is that there are many ways beyond the traditional onboard gym to do this. For example, some cruise liners host classes which are a great place to get a good workout and meet some new friends. On top of this, some ships have running tracks around the edge of the ship, as well as a range of sports courts for the likes of basketball and tennis. And that’s without mentioning the obvious ways to work out including heading out at port for walks, and taking a dip in the pool on the ship itself. You won’t be short of healthy cruising activities on your break, so there’s no need to be concerned about that! In terms of onboard diets (http://traveltips.usatoday.com/lose-weight-cruise-1781.html), some may worry that all the food and drink will cause their waistline to expand. Again, this doesn’t need to be the case. If you choose your meals sensibly and remember to indulge from time to time (you are on holiday, after all), you’ll be fine. The amount of places to eat onboard is also helpful in this way - simply because you have plenty of choices including everything from buffets to formal dining experiences. It’s always best to check what’s on the menu and keep your wits about you if you’re hoping to be a little more on the healthy side. Opting for fish over red meat can still provide a tasty meal except with a little more nutrition too. If you’re interested in going on a cruise for your next holiday then why not see what we have to offer here at Cruise Nation. We’re specialists in helping our customers find the perfect break for them aboard the most amazing vessels on the sea - so what are you waiting for? Give us a call on 0800 408 0757 or feel free to explore our amazing cruise deals a little further. We’re certain we’ll have the holidays you’ve been dreaming of - so don’t hesitate!